One of the most important indications of financial fitness is the credit score. This three-digit number provides insight into your credit habits, and lenders want a peek at it before they risk their capital on you. The better your credit score, the better your financing offers. If you have a poor credit score, on the other hand, you will have to pay more in interest charges, and you might have other issues with getting your loan. 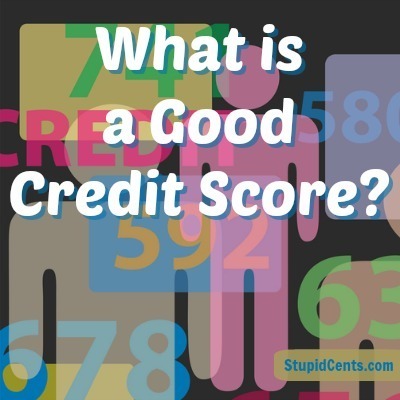 Are you wondering, what is a good credit score? If you want to improve your chances of getting a good deal on your loan, you had better have a good idea of whether or not you need to improve your score. It’s important to realize that credit scoring is not an exact science. In fact, credit scoring models differ from each other. Some factors are weighted different in varying scoring models, while the information available to one model may not be available to another. The credit scoring model most widely used by lenders is the one offered by FICO. (Even FICO-based models are not uniform, however.) This scoring model runs from 300 to 850. You can get an idea of where you fall in terms of whether or not your score is “good” by looking at credit score ranges. A poor score is, in general, anything below 620. You will have stiffer lending requirements and be required to pay a much higher interest rate if your score is below 620. In many cases, if you score is below 580, you will have a hard time getting a loan at all. A fair score, in general, runs between 620 and 679. You are likely to be approved for most loans that you apply for (although some mortgage lenders will give you a hard time). The main hiccup when your score is in this range is that you might have a high credit utilization, which can scuttle your chances. So, what is a good credit score? That is a score that falls between 680 and 739. With a good score, you can land competitive interest rates, and you are likely to get approved, assuming you don’t have serious obstacles in your way like a particularly low income or high credit utilization. Finally, any score at 740 and above is considered excellent. With an excellent credit score, you can take advantage of all the best deals. You are likely to get the best possible interest rates and may even be able to negotiate some of your terms. You can still be denied for loans that are too big for your income level, though. You’ll want to improve your credit score before you apply for most loans, especially home loans. Pay your bills on time and reduce your debt load for the best results when it comes to boosting your credit score. You can also improve your situation by keeping your longest accounts active and by limiting the times you apply for credit. With a little planning, and some time, you can get your credit score in tip-top shape so that lenders will be inclined to give you a good deal.